Dear sir, I have great difficulty in determining onyomi and kunyomi of each and every kanji. The only thing was to memorize them but it takes too long period. Is there is any useful and simple method to determine onyomi and kunyomi of each kanji? Please help in this matter. For ex: san - onyomi, yami - kunyomi. We use "san" while in the combination with another kanji (fuji san), while "yama" in separate used words. But how the onyomi-san, kun yomi-yama, each kanji's onyomi and kunyomi was determined. Please give answer. Thank You. Frankly speaking, I don't think there's any simple way to determine onyomi and kunyomi of each kanji. As you know, 音読み (onyomi), which literally means "sound reading", is the Chinese reading of kanji. 訓読み (kunyomi), on the other hand, is the Japanese reading of kanji. It's a reading based on the pronunciation of a native Japanese word. Most kanji have both readings, just like 山 (san for onyomi, yama for kunyomi) you mentioned in your question. Some of them have only one type of reading. For example, this kanji 秒, which means second (as in hour, minute and second), has only onyomi byou. Whereas most kanji created by Japanese have only kunyomi. For example, this kanji 畑 which means field (field of crops) has only kunyomi hatake. However, even in onyomi and kunyomi, there're multiple on and kun readings for the same kanji. For example, this kanji 日, the onyomi can be にち (nichi) or じつ (jitsu), the kunyomi can be ひ (hi), び (bi) or か (ka). With so many different readings, there're really no specific hard rules that you can use to find out which reading to use in different situations. 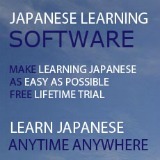 All I can say is that you have to keep on practising and get familiarized with the Japanese kanji vocabulary. You'll then know which to use in different situations. I've consulted my native Japanese teachers on this issue when I was studying my Japanese. Even as native speakers, they sometimes also have problems determining which one to use for certain kanji. They did show me some general guidelines in determining when to use onyomi or kunyomi. Unfortunately, these guidelines are only true to certain extent because there're just too many exceptions where these guidelines can't be applied. Just like you, I also don't like to memorize kanji by hard. But as you know, language is not like mathematics where you can apply one rule and get the answer straightaway. There're many things like culture, history, etc, that influenced how the language of a country developed in such a way. I hope I have not scared you in learning the different readings of kanji with the above reasons. Below are some general guidelines to determine when to use onyomi or kunyomi. These guidelines are some helpful aids that may speed up your learning on different readings of kanji. But they are not hard rules as there're many exceptions. Kunyomi is always used in a single kanji followed by okurigana, which are hiragana characters forming part of the word. These are commonly seen in verbs and adjectives. For example, in this verb 食べる (taberu), the kanji 食 (shoku - onyomi) is pronounced as "ta" in kunyomi (べる is the okurigana). In this adjective 白い (shiroi), the kanji 白 (haku - onyomi) is read as "shiro" in kunyomi. Kunyomi is normally used for a standalone kanji without hiragana attached to it. For example, the words for the 4 directions - north, south, east and west, are pronounced as 北 (kita), 南 (minami), 東 (higashi), 西 (nishi) respectively, all in kunyomi. Onyomi is mostly used with 2 or more kanji in a Japanese word. 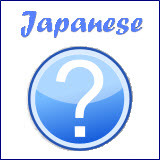 For example, 2-kanji compound words like 法律 (houritsu), 家族 (kazoku), 衣服 (ifuku). 3-kanji compound words like 警察官 (keisatsukan), 銀行員 (ginkouin), 低気圧 (teikiatsu). 4-kanji compound words like 四字熟語 (yojijukugo) are also usually read using onyomi. For example, 一石二鳥 (issekinichou), 前代未聞 (zendaimimon) and 危機一髪 (kikiippatsu). But there're many exceptions where kunyomi is being used for multi-kanji compound words. For example, this 2-kanji compound words 手紙 (tegami) is read using kunyomi. Although names of native Japanese are written in multiple kanji, they are pronounced in kunyomi most of the time (though there're still exceptions). Some examples are family names like 水野 (mizuno), 高松 (takamatsu), 木村 (kimura) and 藤井 (fujii) which are read using kunyomi. But exceptions like 伊藤 (itou), 佐藤 (satou) and 陣内 (jinnai) are read using onyomi. Name of Places in Japan are mostly read with kunyomi. For example, 長野 (nagano), 青森 (aomori), 熊本 (kumamoto), 旭川 (asahikawa) and 箱根 (hakone). However, there're still some exceptions like 東京 (toukyou) and 北海道 (hokkaidou) which are read using onyomi. Even with the above guidelines, I think you may still be confused with how to determine which reading to use. Due to the multiple readings in both onyomi and kunyomi, even a native speaker may not always know how to read a kanji without prior knowledge, especially the names of people and places. In summary, the only way (you may disagree) that I find most useful in determining onyomi and kunyomi of kanji is to keep on reading and studying more kanji. 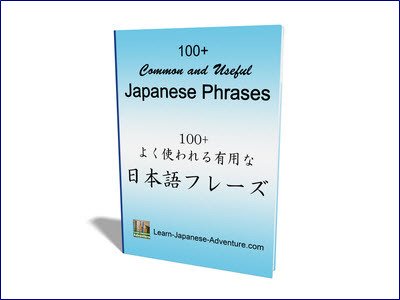 The more you read and study, the more kanji you'll know and how they're being read and used. I know this method will take a long time before you actually see some results. But why not think in a different perspective. Learning a new language usually takes us years to really master it. Think about how you studied your own native language. How long did you take to fully master it? You might want to refer to the section on "When to use which reading" in this wikipedia page for reference. Comments for How to determine onyomi and kunyomi of each kanji character? I agree... reading is so important. I started learning Kanji through memorization and became overwhelmed very quickly. Once I decided to just start reading (using Kanji dictionaries for words I didn't know) I was amazed at how quickly I started recognizing words. Read Japanese blogs, websites, find Japanese friends on FB, anything you can do to get ever-changing reading material in front of you. You will be amazed at how quickly this enhances your ability to read and recognize one of the biggest obstacles in learning Japanese.... Kanji. I forgot to mention, the thing I find the most helpful in reading is to watch Japanese DVDs with the Japanese subtitles at the bottom. That way, you're seeing the word while you're hearing a native speaker say the word. Tremendous help! Thanks for your comment. From my own experience, I realized that my kanji knowledge impoved after learning Japanese for few years. It's not so obvious in the beginning and you always feel like you keep forgeting the kanji you've learned. And that's when people started to quit when they see no improvement. Perseverance pays. Same here, reading is more important than to know a therm. Right know I am at the time where I have to fill gaps in sentences to fully read and understand. First I began to know the vocabulary then the grammar. If I read a sentence with a couple kanjis I do not know, then I can mostly figure out automatically what word it is and its 訓 by getting the context. Although names in 音読み are hard. Make sure you have a basic grasp of of the grammar and vocabulary before focusing on kanji. I tried learning kanji at the beginning of my Japanese studies and it was hard because I was trying write words and concepts that I hadn't really learned before. After studying Japanese for awhile, learning kanji became much easier because I was learning to write kanji for words I had already memorized. Also, by that time, I recognized quite a few kanji and that made things easier too. I was searching for a way to understand onyomi and kunyomi and i think i got it here. I hope it will help and shall bookmark this place to be sure to remember it afterward. I'd like to add that in Google Chrome, you can double click on kanji, hiragana, katakana words/letters and it will show you the definition for it. And there is a great extension you can install for Chrome called "Yomichan" that's really helpful for learning alongside Anki. After some initial confusion about this subtlety of the Japanese written language, this description is the first relatively complete and comprehensible one that I have found anywhere on the web.